It's time to chat cleansers! Cleansers are, in my opinion, one of the most important skincare products that anyone can use. Washing your face doesn't take long, but it will make a huge difference to your skin in the long run. 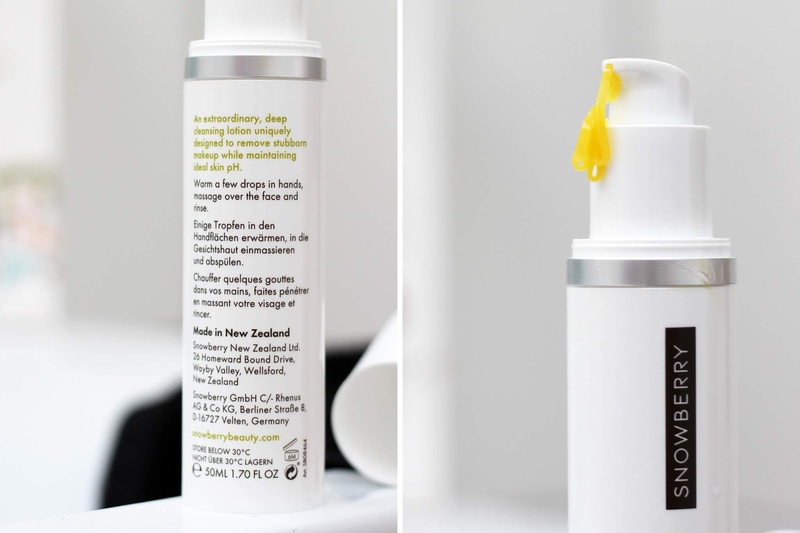 Finding the right cleanser is also important - everyone's skin type is different and there is certainly a cleanser out there to suit and this is where New Zealand owned brand Snowberry* comes in to play. Snowberry was founded here in New Zealand 10 years ago by Soraya Hendesi. She was frustrated that she couldn't find nurturing skincare that wasn't packed with silicones and petrochemicals. 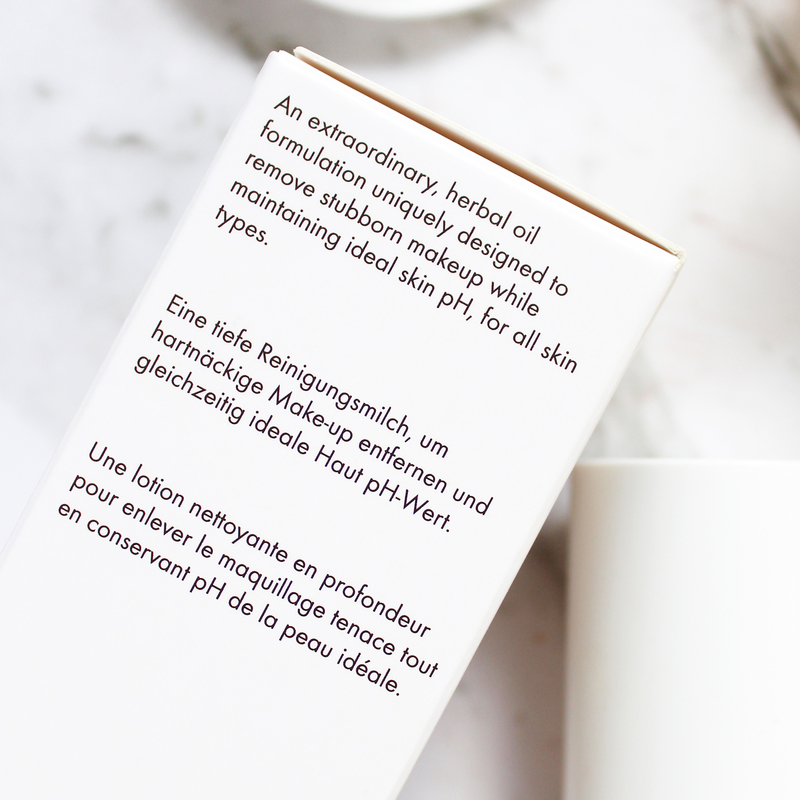 Hendesi's aim was to formulate a skincare brand that would utilise the very best ingredients and that took advantages of the best advances in dermatological science. Their two-step mantra is 'Protect + Refresh', which personally I love. The aim is to protect by using cleansers that won't strip the skin or damage the skin's natural barrier and protect by using creams that are ceramide boosted to restore the skin. The refresh part is about using serums packed with peptides to naturally stimulate the skin's collagen production. It's a simple system and within that Snowberry has now formulated a wide range of products at various price points to suit all skin types. Snowberry is based in the upper North Island in Warkworth (about an hour or so north of Auckland). It was interesting to find out that they established the 'Snowberry Gardens' near Wellsford where they nurture around 8,000 native plants to use in their skincare line. I don't know many brands who do that! Over the next couple of posts, I will be sharing my thoughts and more details about three of their exceptional cleansers they have to offer. While cleansing may be overlooked in your routine, it is one of the most important steps and well worth finding the right one for your skin. Some cleansers and toners use aggressive products particularly cleansers that are aimed at people with oily skin as a means to help oil control (cheap foaming cleansers are one of the biggest culprits). These can have an adverse effect by stripping the natural oils in your skin. In doing so, your skin begins to overproduce oil and sebum and hence you will end up with oilier skin! It is a vicious cycle and a very common misconception. Even though I have oily/combination skin, I love an oil-based product in my routine and one of those is a cleansing oil style product for removing makeup. 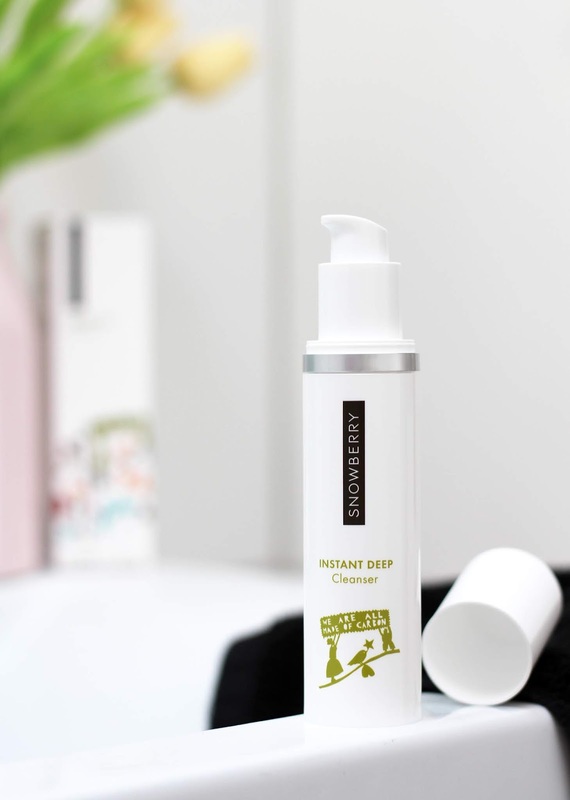 Snowberry's Instant Deep Cleanser (NZD $51 for 50ml) is a spin on a cleansing oil. It has a 100% natural blend of herbal oils to remove makeup whilst also helping to keep the pH level of the skin balanced. This can be used morning and night - I have been reaching for this mostly in the evening as my first step in my double cleansing routine. This is a lot thicker than other oil cleansers I have used but it warms up and melts on contact with your skin. I like to use two pumps on dry skin with a full face of makeup on, and I work it in circular motions to help break up my makeup from the day. I then lather it up with a bit of water and it turns into a milky sort of cleansing. I wash it off with a flannel and it really does a great job at removing everything but also keeping my skin hydrated and soft. 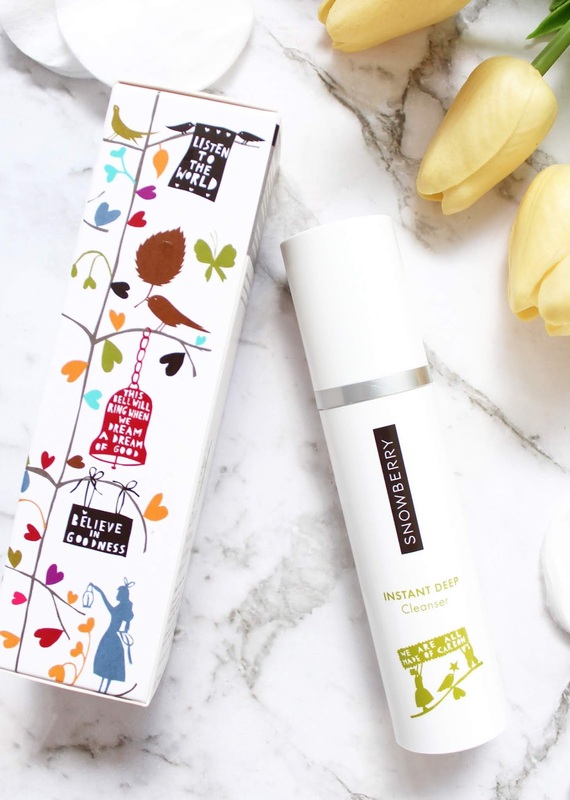 Although you could certainly leave it there, I always go back in with a double cleanse, whether I use the Instant Deep Cleanser one more time or one of the other Snowberry cleansers I will be sharing over the course of this week. This is perfect for all skin types and it has no fragrance so those with sensitive skin should have no issues with it. Those with dry skin will really love it as that little bit of extra oil and moisture will make your skin feel very soft and less irritated. Those of you who are big makeup wearers like myself, this is a cleanser you need to have in your skincare cupboard - your skin will surely love you for it! Snowberry can be found all over the place in New Zealand at most Farmers, and also in pharmacies and beauty salons. A full list of stockists can be found here. They also ship to a number of countries internationally and are stocked in physical stores in China, Germany and the Netherlands. All Snowberry products contain no petrochemicals, no propylene, no volatile alcohols, no artificial colours, no silicones, and no fillers. From what I have tried, this is a skincare brand that should not be overlooked. Stay tuned for my next posts where I will be sharing my experiences with the new So Soft Cleanser and the Gentle Cleanse + Tone. *Sponsored Post, all views and opinions are my own.